Listing courtesy of Roddy De La Garza (CalBRE #01995374), Redfin Corporation. 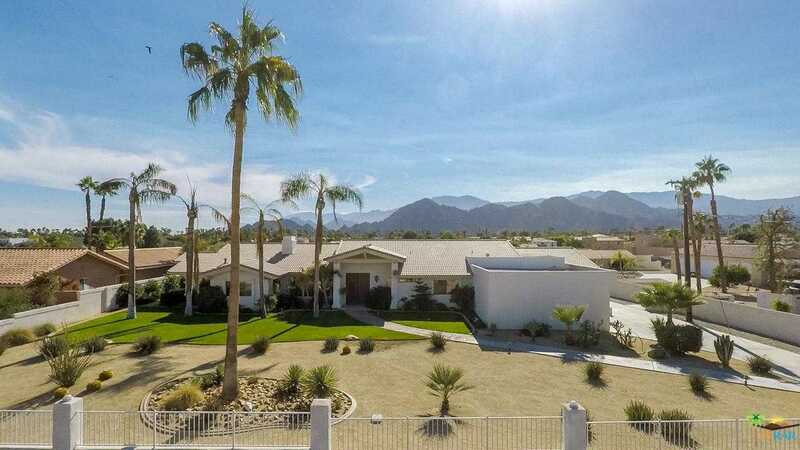 Spectacular, 1-owner, custom built, resort-style Palm Desert estate is a 4 BR/3 BA mountain-view paradise with many improvements and amenities. Meticulously maintained, expertly designed for energy efficiency and luxury, this home has a stunning main house; an amazing swimming pool; a detached 1 BR/1 BA casita; a workshop area; a 1st class RV garage (with service bay), more! Escape the restrictions of HOA living and come to paradise! Zoned to allow for home based business use and exempt from short term rental restrictions, this is the home you always dreamed of but didn't know existed! A celebration of desert living: grand entry; formal living / dining areas; remodeled, kitchen with island; breakfast area; family room; master suite with 5-star, spa-inspired bath! Regal-sized tile; exposed stone fireplace; architectural accents; a pre-paid lease solar system (includes solar pool heating) to keep energy bills low! (So many improvements!) A perfect 1 AC +/- paradise to create memories! Building size: 3985 sq ft.